If you've launched your Zune Desktop lately, you've probably seen the pop-up message alerting you that features have changed. 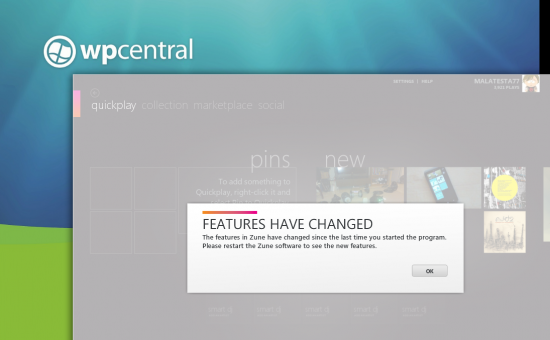 When you re-launch Zune you will find that there is no longer a Zune HD marketplace listing. 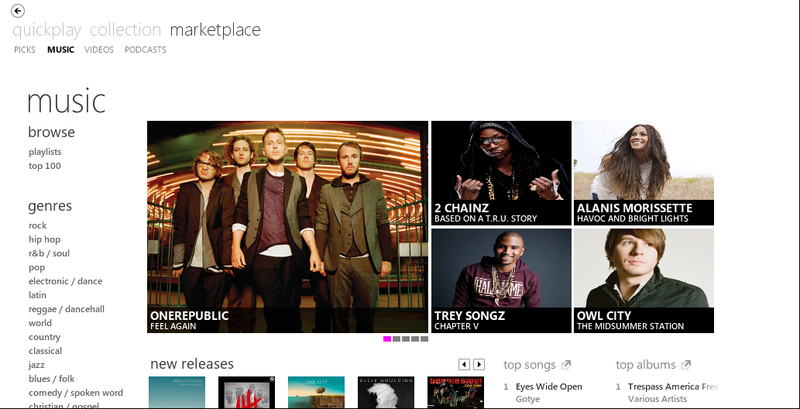 The only options available under the Zune Desktop Marketplace listing are Picks, Music, Videos and Podcasts. The option to view Apps, both Zune and the resurgent Windows Phone 7 apps, have vanished. We know that Microsoft is in the process of renovating the Zune services over to Xbox Music and this change could be part of that process. While the Zune Desktop is still used for music, video play and syncing with your Windows Phone, Microsoft shifted the app marketplace for Windows Phone to the web Marketplace back in May. Citing that more used the web option more, Microsoft shut down the Zune avenue. Create a key with the name "FeaturesOverride"
Not sure what the next feature change will be with the Zune Desktop. Maybe change the change the "Marketplace" listing to "Xbox Music"? Thanks, Aaron, for the tip!